HOLETOWN, Barbados – Barbados’ Mango Bay Hotel (www.MangoBayBarbados.com) has been named a 2014 Family Vacation Critic Favorite in the first annual hotel awards on www.FamilyVacationCritic.com. Of the 3,500 hotels recommended on the site, Mango Bay Hotel was one of three hotels in Barbados and 400 properties worldwide to receive the honor of Family Vacation Critic Favorite. 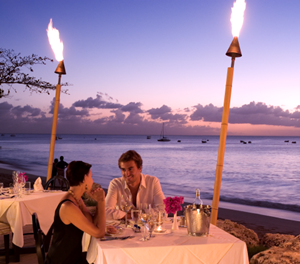 Mango Bay is also the highest rated hotel in Barbados on the website. The hotels receiving the title of Family Vacation Critic Favorite have met a set list of criteria, based on reviews from the site’s editors and community of family travelers. To qualify, hotels must receive four stars or higher from the website’s editorial staff and have at least 75% of families recommend the property with four stars or higher. Located in the historic Holetown area on the famed Gold Coast of Barbados, the 76-room Mango Bay Hotel is known for its sophistication and all-inclusive value. This beachfront, boutique-style property is an ideal tropical retreat, offering spacious accommodations, a picturesque beach, a centrally-located swimming pool and superb dining. The property is just a short walk from the posh Limegrove Lifestyle Centre, where guests can shop at global luxury retailers including Louis Vuitton, Burberry, Cartier, Michael Kors and more. Mango Bay is celebrating its 20th anniversary in 2014 with discounted rates starting at $384 per room, per night, based on double occupancy, on an all-inclusive basis when booked directly. A Mango Bay all-inclusive vacation includes hotel accommodations, all meals, afternoon tea, all local and brand name drinks including glasses of wine, use of the on-site gym and nightly entertainment. The property is also now offering room service as well as drink and food service at the pool and the beach. Water skiing, kayaking, snorkeling, wakeboarding, pedal boats, a glass bottom boat ride and a catamaran trip to snorkel with the turtles are also included. For more information on Mango Bay, call (246) 432-1384, email reservations@mangobaybarbados.com or visit www.MangoBayBarbados.com.